Gov. 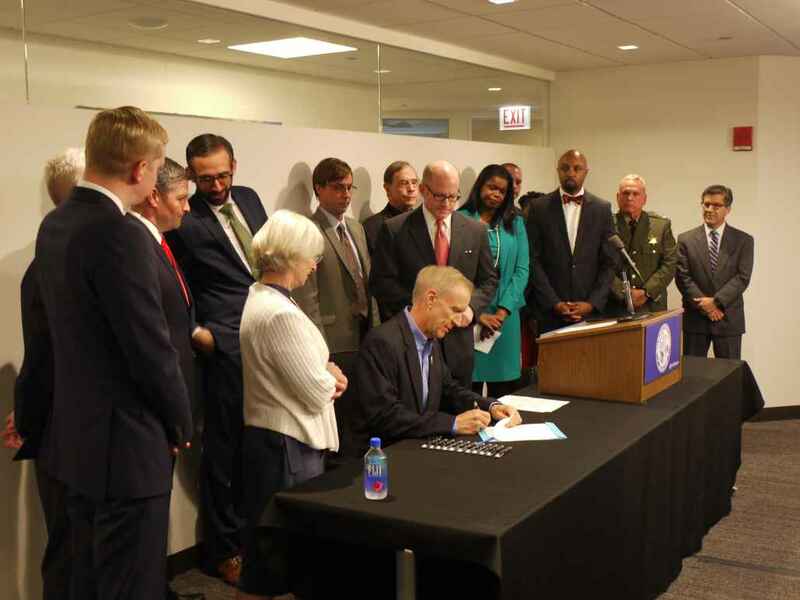 Bruce Rauner signed House Bill 303 on September 19, bipartisan legislation aimed at reforming Illinois’ asset forfeiture system. The reforms will increase transparency and shift burdens of proof to protect innocent citizens while maintaining the proper use of asset forfeiture as a tool for law enforcement. Gov. Rauner was joined by Illinois State Police (ISP) officials, ACLU members, legislators, and advocate organizations. “Illinois residents should be protected from the unfair seizure of their private property,” Gov. Rauner said. “This legislation will enact needed reforms to prevent abuse of the civil asset forfeiture process while maintaining its importance as a critical tool for law enforcement to make our communities safer.” When properly applied, asset forfeiture strikes at the economic foundation of criminal activity. The seizure of monetary assets has been utilized as an effective method to disrupt the business activities of drug trafficking organizations and bring down high-level drug distributors. HB 303 also shifts the burden of proving guilt to the government and increases the burden of proof to mirror that of the federal government in forfeiture cases from probable cause to a preponderance of the evidence, a fair and equitable standard. It also makes a number of other changes such as eliminating restrictive bonding requirements and adjusting the threshold amounts of money subject to forfeiture as well as the levels of cannabis and controlled substance possession that can lead to forfeiture proceedings as a way to thoughtfully limit the use of this system to its intended purposes. Funds received through the Asset Forfeiture Program support the costs of law enforcement overtime and wire intercepts for major investigations, training, intelligence centers, prevention programs, and investigative equipment.